This page is little more than a disorganised collection of photographs and data at the present time. Denis Fairlie won a place on the victorious British team that went to Detroit in 1936 to contest the Wakefield Trophy that is detailed here. It is probably this success that first brought him some public acclaim. 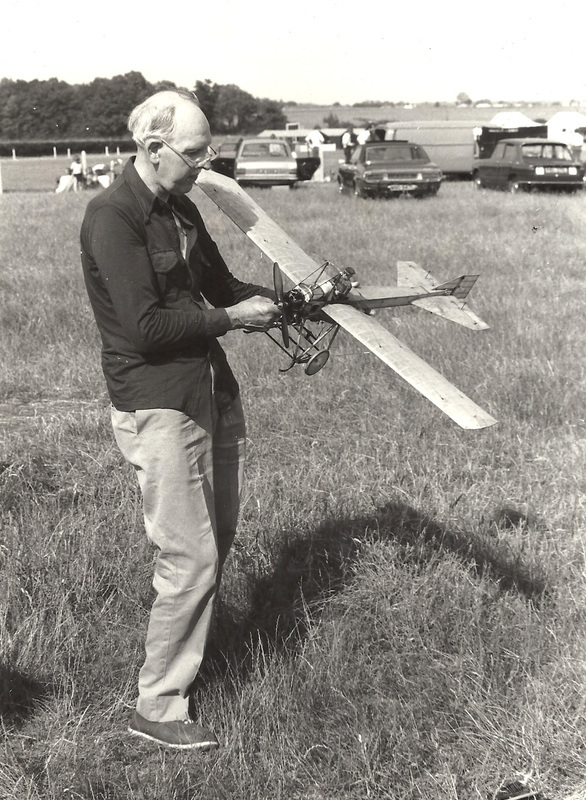 He had many model aircraft articles published and was able to produce beautifully detailed explanatory sketches to accompany them. 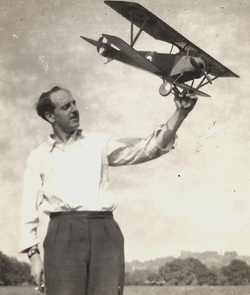 Denis with the model used to qualify for the 1936 Wakefield Team. 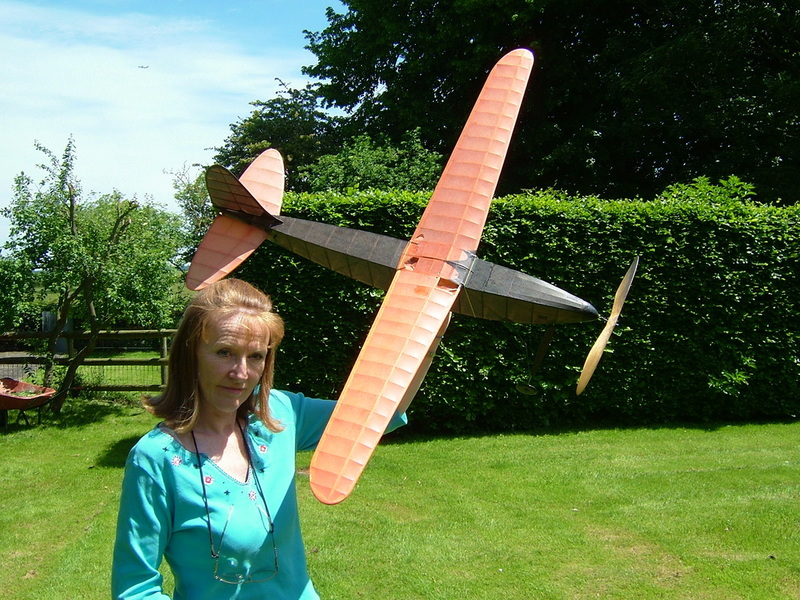 Denis's 1936 model - or possibly a replica that he built. Before some remedial work. 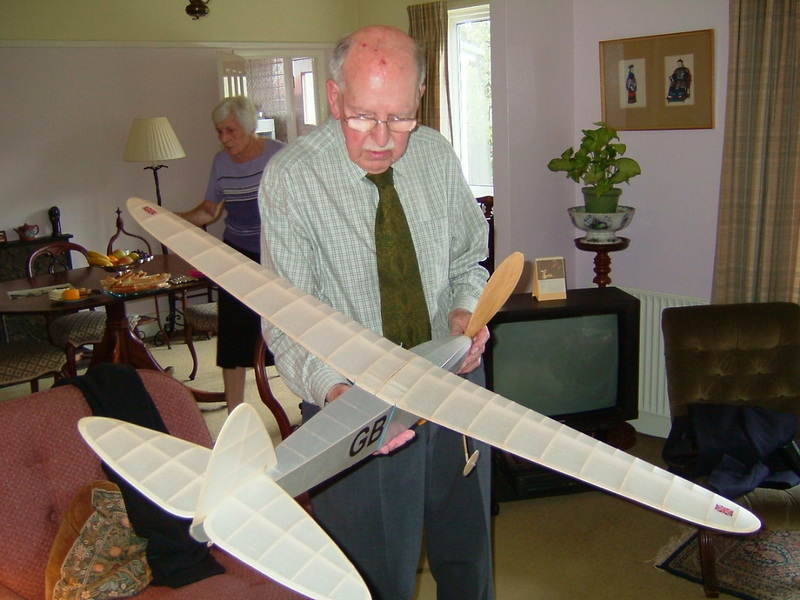 This photo was taken in about 2009 when I visited Denis and his Wife, Betty. 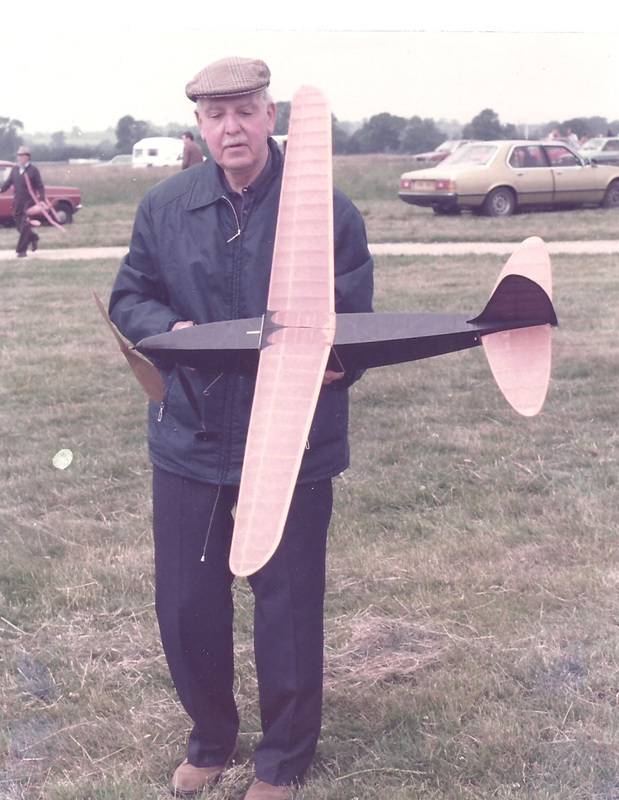 He is seen holding a replica of Bert Judge's 1936 Wakefield winning model. Denis at Old Warden in 1968 with his Deperdussin. His models were always beautifully built after extensive research. 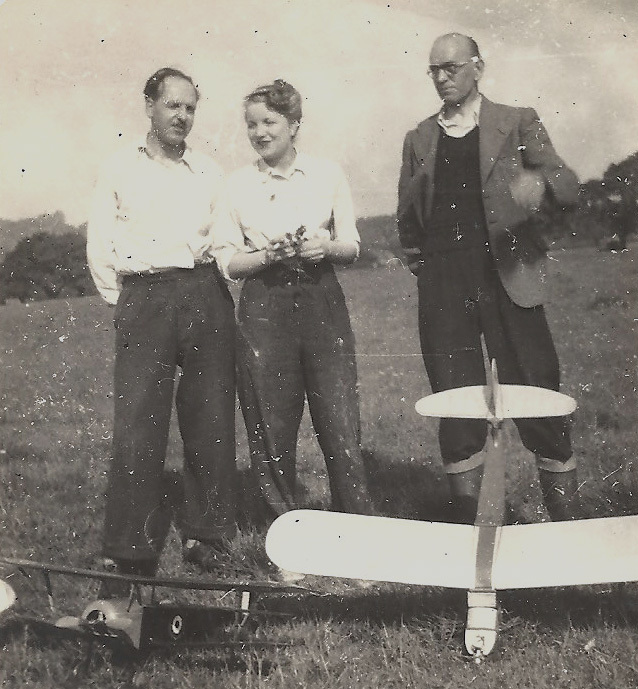 Denis at Perrins Meadow in 1953 - and that's B. K. Johnson in the centre. Denis and Betty. Who's the other fellow? 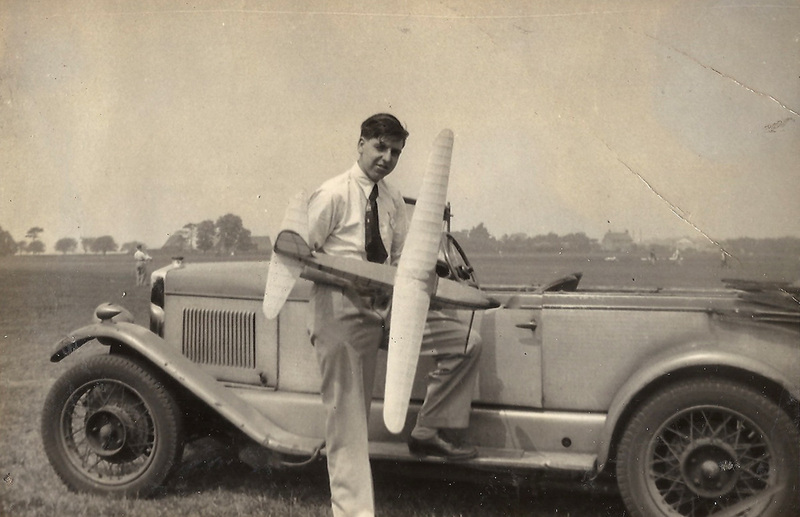 Taken in 1984 this photo shows Denis with what is either his 1934 or 1936 aircraft. 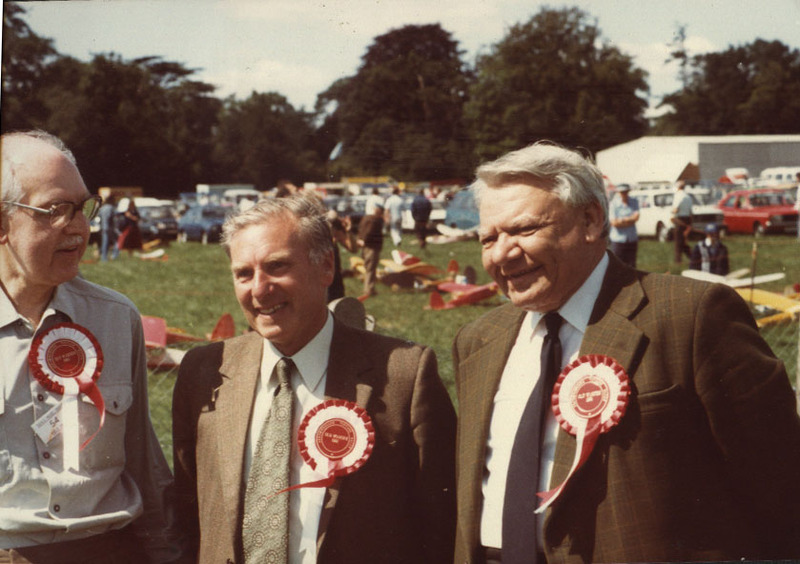 Taken in 1982, this photo shows Denis with 1936 Wakefield Team members Bert Judge (centre) and Alwyn Greenhalgh. 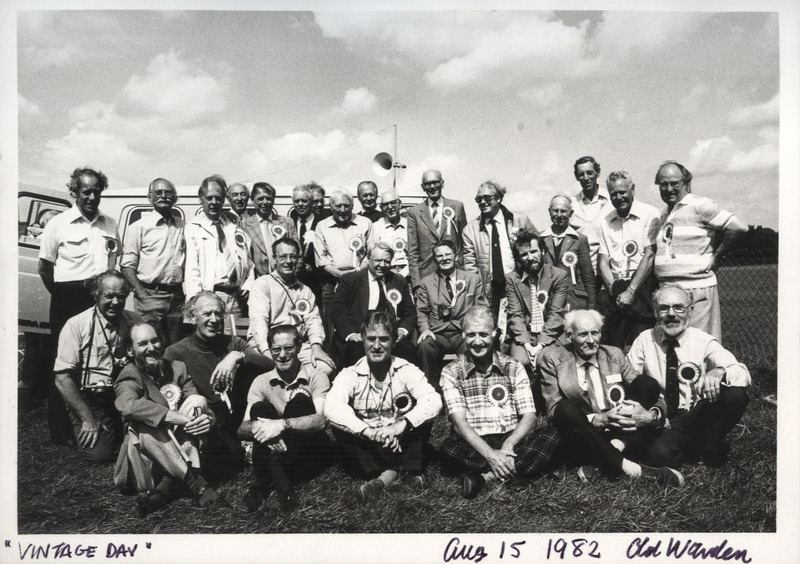 Taken at Old Warden in 1982 this group contains many of the most famous 'names' of aeromodelling. 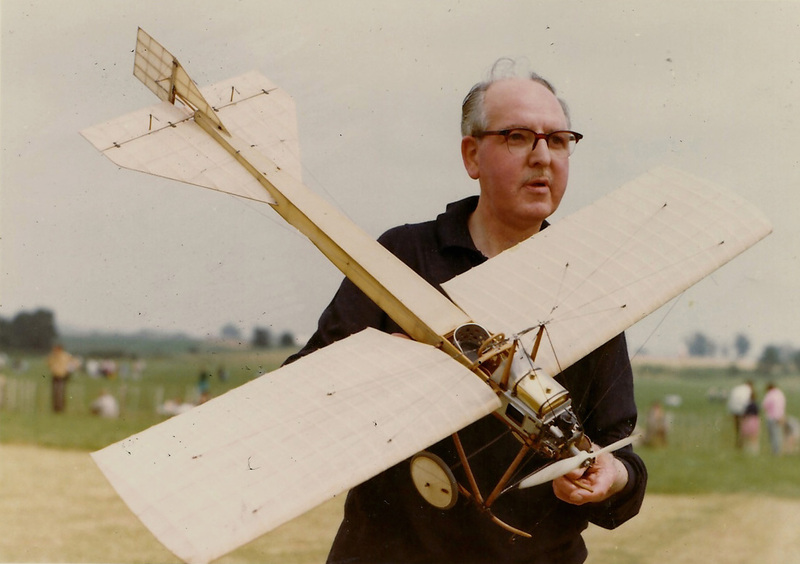 They include Norman Cooling, Henry J. Nicholls, J.E. 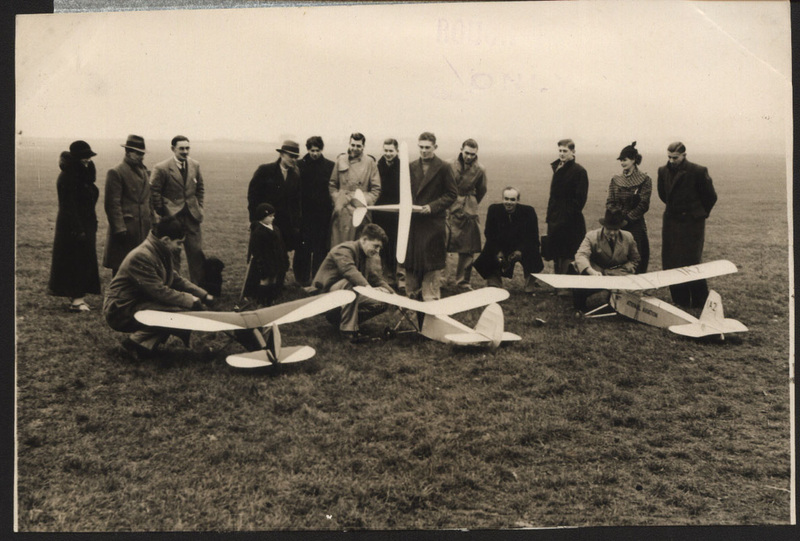 Pelly-Fry, Ron Moulton, Alwyn Greenhalgh, Howard Boys and Mike Beach. Denis is the man with the loud speaker pole sticking out of his head! WHO CAN IDENTIFY OTHERS? Remember, you can 'click' most pictures to enlarge them. Appears to be Denis with his Deperdussin again. 1953 Perrins Meadow with his Nieuport. 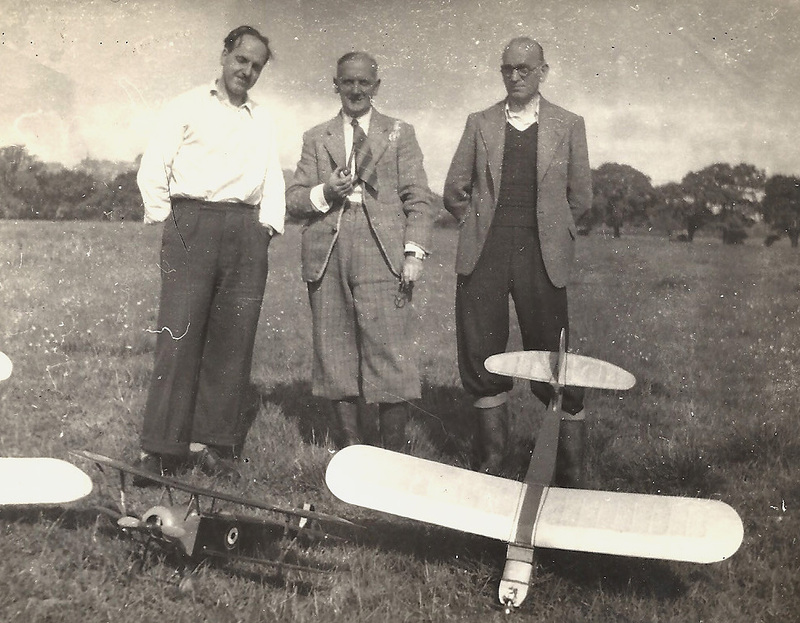 A young Denis Fairlie, in a light coloured raincoat, looks on as his great friend, Richard Trevithick (centre) tinkers with his power model.